Upcoming events are listed in the following calendar, so please have a look at it and make sure you don't miss out any of the events! Note that the calendar could be updated at any time. Click HERE to go check the details of the Black Friday Fantasy Event details. During the event period, you can get extra Crystal Points for purchasing the stated amount below. 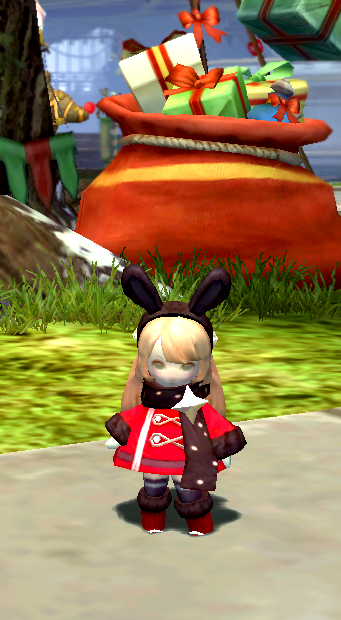 - Only the Crystal Points bought at the Cash Shop using EYET/EYEC during the event period will be counted. - Purchase through DNP will not be counted. - Purchase through Gift giving using EYET/EYEC will be counted. - Rewards are not accumulative. Example: If you purchase 650,000 Crystal Points, you will receive in total 250,000 Crystal Points as reward. If you purchase 1,200,000 Crystal Points at the Cash Shop, you will receive in total 500,000 Crystal Points as reward. - Rewards will be given ACCOUNT BASIS through your Special Storage on 5th December 18:00 HRS (GMT+8). - Rewards will be collectible for 1 week, until 11th December 23:59 HRS (GMT+8). - Rewards that were not collected and have expired will not be resent or reimbursed. 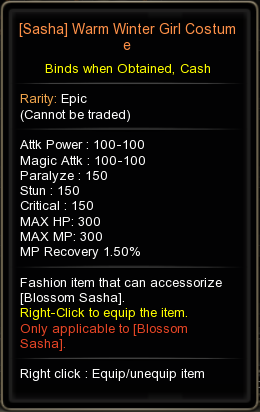 - Please refer to the November Patchnote regarding the Expiration dates of the Epic Costume/Wings/Tail/Decal at the Crystal Point Shop. Check out the Win Your Lottery Event Season 2 at the Forum for a chance to win a massive reward. First announcement will be made through the ingame announcement! The Lotto numbers will pop on your screen in pink when you are in town at the stated time. After the ingame announcement, you can also check out the Lotto number results through here and facebook. Go, Go, DNSEA! Send your love and cheer for our Dragon Nest SEA representative team that will be competing at the world stage! Event details will be posted on Facebook on 4th December. Finally, the date of the 2018 Dragon Nest World Championship in China has come. Six Teams from around the world will be competing for the title of Dragon Nest World Champion at the final stage in China. Get your blood pumping with the fierce battle about to go down on the first week this December! Don't miss out on the ultimate fight and watch it LIVE. *The link will be shared via Facebook before the event date. EXP will be boosted during the event period. ... Tap into Facebook during the Event Period if you want to find out what's up with this event! 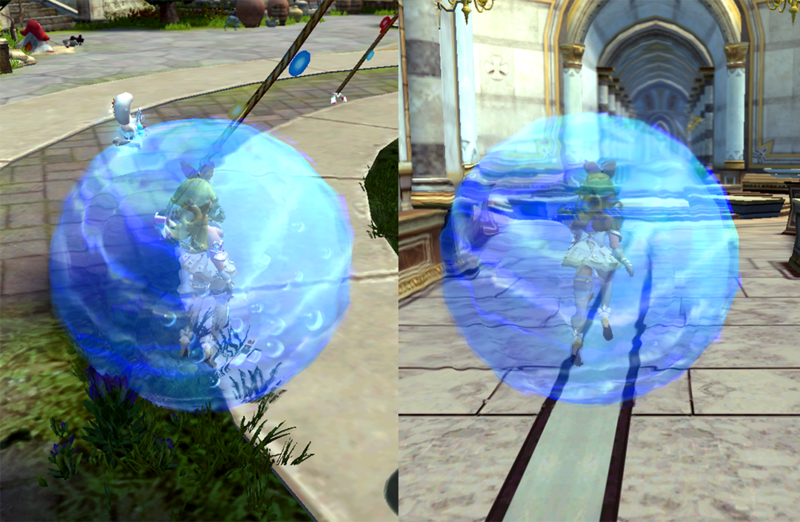 Log in to Dragon Nest SEA during the event period to pick up a gift! 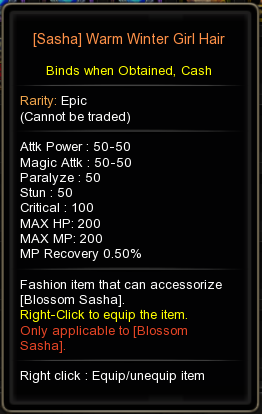 You can enjoy both gifts and HOT TIME boosting event! Rewards will be only collectible during the stated time. - Each day's rewards will be collectible between 21:00 - 24:00 HRS (GMT+8) only. - Rewards will be given ACCOUNT BASIS and will be sent to your Special Storage. - Rewards are collectible for characters over Level 50. 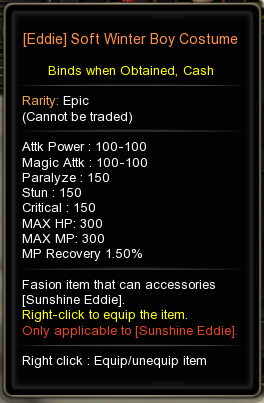 Some rewards may be collectible for characters over Level 80. - Rewards that are not collected and have expired will not be reimbursed or resent. Enhancement Rate will be increased during the event period. The Labyrinth has reached the Professor K Nest, Typhoon Kim Nest, Granom Nest, and the Serpentra Nest. Take advantage fo the Debuff week and dip your toes into the higher floors of the nests! Monster’s HP and Attack Power will decrease by 20% during the event period in the following nests. Heroes who have cleared the Fission Maze will receive mountains of Lebrium Points! If you are eyeing to enhance your gears up the final stages, this is the event for you. - The rewards are accumulative. For example, if you had cleared the Fission Maze 8 times during the event period, you will receive Lebrium Point 12000, and Lapis 40ea. - The rewards will be given ACCOUNT BASIS, and sent to your Special Storage on 28th December 18:00 HRS (GMT+8). - The rewards will be collectible for 1 week, until 3rd January 2019 23:59 HRS (GMT+8). - Rewards that are not collected and have expired will not be resent or reimbursed. For all the diligent Heroes of Lagendia grinding their Daily Quests, come on up! Heroes who clear the 5 stages of the Daily Quest (Abyss only) can receive the following rewards. If you needed a boost to get your Medea gears up to Calypse and Calypse up the tiers, take this chance and combine with your daily routine! *Clear count requirements per Tiers have been reduced. Please check the tier chart below [Reward]. Get more now with less work! Anyone who has cleared the five Level 95 Abyss stages (any of the five) during the event period (two weeks), according to the tier numbers. *Rewards will be given according to the respective tier only. - Rewards are not accumulative. Rewards will be given according to the respective tier only. - To be eligible, you must clear the stated Level 95 Stages in the [Event Requirement] in Abyss Difficulty. You can select any of the five stages mentioned to be eligible. - The rewards will be given ACCOUNT BASIS, and sent to your Special Storage on 27th December 18:00 HRS (GMT+8). - The rewards will be collectible for 1 week, until 2nd January 2019 23:59 HRS (GMT+8). DNSEA will be getting our own Web Shop! You will be able to check out the exclusive Web Shop items with amazing deals and promotion events! There's a Special Event to celebrate the Web Shop Opening! 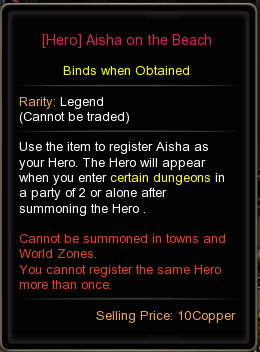 ※ The reward item Aisha Hero (Legend) CAN be sent to Hero Exploration, however, the success rate would be the same as the Unique-grade Hero. 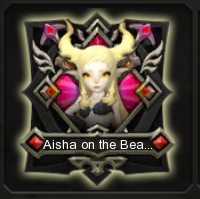 you can receive the [Hero] Aisha on the Beach (Legend) as a bonus reward! Please look at the detail below carefully before participating in the event! ◆ The rewards are accumulative. The maximum number of Aisha Hero you can receive is three. ◆ Mixture of the Wings/Tail/Decal won't be counted together. Each category (wings/tail/decal) will be counted separately. - Only Web Shop purchases are eligible for the count. - Mixture of the Wings/Tail/Decal won't be counted together. Each category (wings/tail/decal) will be counted separately. then you will receive two [Hero] Aisha on the Beach reward. you will still be eligible for one [Hero] Aisha on the Beach reward. - The reward will be given ACCOUNT BASIS. - Rewards will be collectible for 1 week, until 9th January 23:59 HRS (GMT+8). - Please note that refunds are not possible at the Web Shop. you can select one among Christmas Treasure Box Wings / Tail / Decal / Spirit / Mount items to receive as a reward. 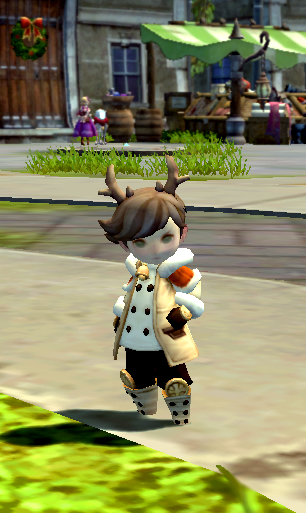 To check out the Christmas Treasure Box Items, click HERE to go to Patchnote. - Rewards will be given through special storage on 2nd January 2019 at 1800HRS (GMT+8). - Rewards will not be tradable. - Rewards will be given per account basis. - DNP purchases are not eligible. - Rewards that are not claimed and expired will not be reimbursed. - Rewards are collectable until 8th January 2019 2359HRS (GMT+8). Here's a bonus Sea Fishing Event ! 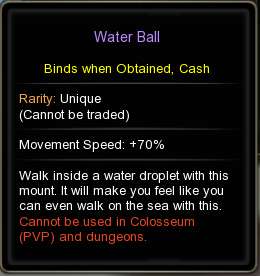 Not only can you receive the Sea Fishing ingame rewards as per the patchnote, but here's an additional event reward you can get your hooks on! To the player that catches the longest fish on the special "High Season" highlighted below, rewards will be given! Also, there's a reward for everyone just for participating in Sea Fishing! - The participation reward is given for all players who played Sea Fishing at least once during this event period. - The type of fish doesn't matter as long as it is the longest catch for each "Sea Fishing High Season". The length of one fish only will be counted. - When there are more than two players of equal longest length fish, the player that caught it first will be eligible for the reward. - All rewards of this event will be given only once per account. Even if you catch longest fish of the season multiple times, you'll only be given once for each reward type. - The Cover Title reward "Fishing Master HooKing" will be sent directly to your title list. ▶As you can see on the time table, there's a total of 16 Sea Fishing seasons - Participate to get the participationg reward, and the Shark/Whale catcher reward! ▶There's a total of 8 Sea Fishing High Seasons - Participate to shoot for the longest fish catcher reward! *Each day denoted as "Sea Fishing1, Sea Fishing2, Sea Fishing3, .." on the time table refers to each Sea Fishing season. *The special "High Season" are indicated on the above time table. On these days, if you catch the longest fish of the day, you'll be eligible for the Fishing Master HooKing + Crystal Point reward. *When you participate in Sea Fishing, you'll be automatically returned to town after your 30 minutes play time is up. Even if you get out of the fishing area during the 30 minute period, the countdown will continue. - For details of the ingame Sea Fishing Event, go to Patchnote. The [Reward for Fishing #] stated on the Sea Fishing Timetable refers to the ingame Sea Fishing rewards that are given out automatically according to the event detailed on the Patchnote. - This notice is for the bonus "The Hero and the Sea" Event rewards that will be sent to your Special Storage on January Update Patch date at 18:00 HRS (GMT+8). - All players who have participated in the Sea Fishing ingame event will receive the participation reward. Please refer to the patchnote to see how to participate. - All rewards of "The Hero and the Sea" event will be sent ACCOUNT BASIS, and 1ea maximum for each type of rewards per account. - Rewards for "The Hero and the Sea" event will be collectible for one week, until 14th January 2019 23:59 HRS (GMT+8). - Please note that January Update Patch date may be subject to change. Click to go to Sea Fishing details on Patchnote now! For limited time only, you can get the Lagendia Gacha Package and the Premium Pet Package on sale only at the WebShop! Get in the Christmas spirit and give your friends a Christmas present, and you will be given a present as well! For anyone who purchases the December Update Winter Costume Package item at the CashShop by gifting, the purchasing user will receive a reward. - Only the December Winter (Christmas) Costume Package item ( Click to go the Costume info in the December Update Patch) purchased at the CashShop through gifting with EYE cash is eligible for this event. - Unlike the previous Gift Giving events, this time the reward will be sent only for the user who had purchased the gift and not the gift receiver. - Gifting within your account will also be eligible. - The reward will be CHARACTER BASIS, and you can choose between Winter-themed Sasha Accessory set (Epic) and Winter-themed Eddie Accessory set (Epic). 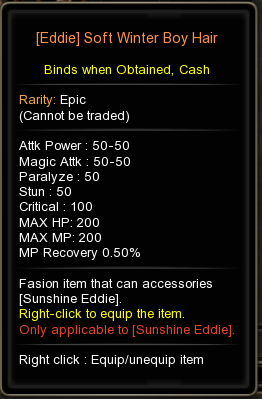 - Please note that the pet accessory can only be equipped on the minion with the right name and rarity. - The reward will be sent on 27th December 18:00 HRS via your Special Storage and will be collectible within 1 week, until 2nd December 23:59 HRS (GMT+8). - Rewards that are not collected and have expired will not be reimbursed. DN Santa's coming to Saint Haven to give presents to all the Heroes of Lagendia, regardless of whether you were naughty or nice! Come log in on 25th December to get your presents, collectible within the Christmas day. Event details will be updated on Facebook at the event period. 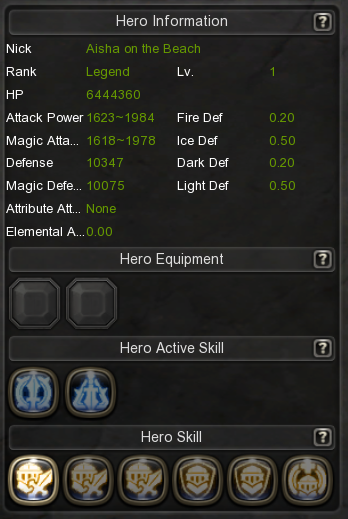 Happy New Years DNSEA! New Years Celebration Events are in line to come. 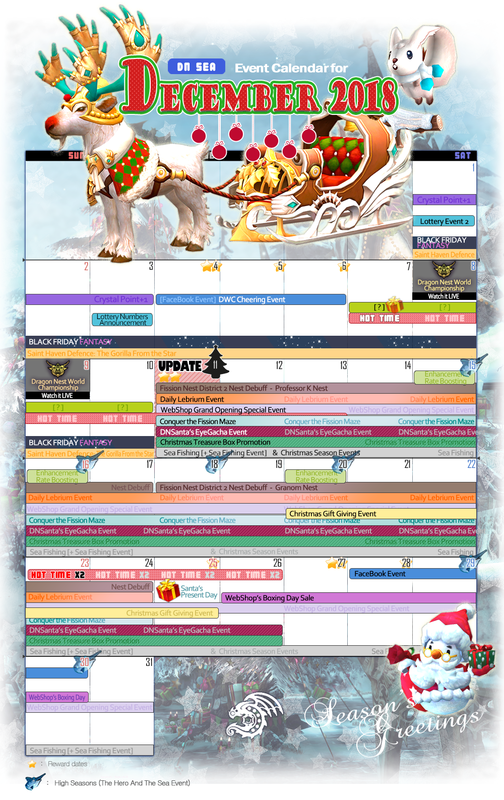 For event details and the schedule, please refer to the December Patchnote. It’s the VIP System BETA’s seventh month! The top tier of Dragon Nest players will be selected based on the previous month’s top-up records, and the selected VIPs will be given exclusive rewards. *The VIP System Beta may be subject to changes every month. *Please note that reward tiers will be given based on top ups only, and not cash spending. *After this month's VIP SYSTEM BETA rewarding will take a few months hiatus. The VIP SYSTEM will return with upgraded rewards in 2019. This month’s VIPs’ rewards will be given out during October’s Update Patch on 11th December. - The players who are eligible will not be notified individually; the rewards will be sent after each Update maintenance through Special Storage or Title List. - The rewards given can only be used for 30 days. Even if the item’s duration period is not specified, it will be automatically removed on the next Update maintenance regardless of whether it was used or not. - The VIP rewards will be collectable within 7 calendar days, and the rewards that are not claimed and expired will not be reimbursed nor redistributed. - The VIP rewards cannot be sold or traded. - This is the system beta version so tier details or the list of rewards can be changed later on. - Any character that has been banned due to infringement of game abuse policies during the event or reward period may not be eligible for rewards. - Rewards are given per account basis. - DNP will not be considered cash. All of the DNP will be removed on 11th December during the Update Maintenance as a monthly DNP reset Policy. This includes the DNP Vouchers as well, so please make sure you purchase as many items as possible with your DNP before the Update date.